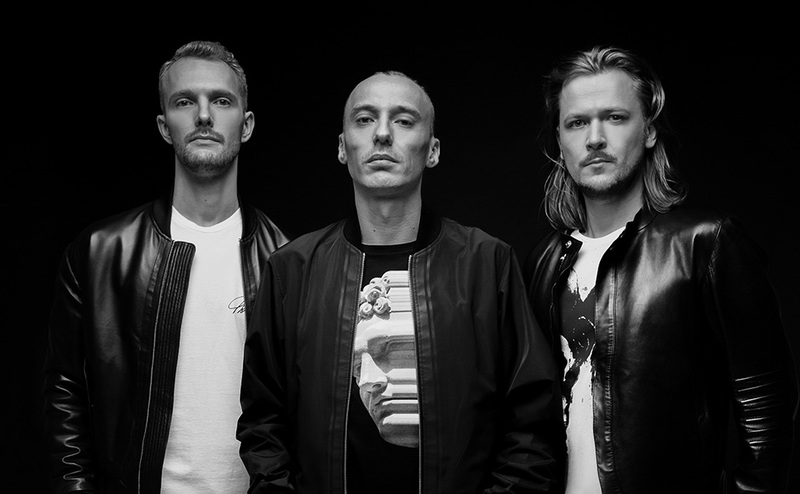 Highlighting a charged path from Moscow to Miami, the Russian innovative trio who amplify the progressive and electro house sound are known as SWANKY TUNES. showing no signs of slowing down! Whether it be in the studio, on stage, or the global music charts, the SHOWLAND label headliners are at the forefront of electronic dance music. With their uplifting anthemic sound, the Smolensk based music pioneers deliver dance floor bangers to nightclubs and festivals around the globe. Swanky Tunes have performed on worldwide stages including Laidback Luke’s Super You & Me at Tomorrowland, Sensation White, Ultra Music Festival, Global Gathering, Electric Daisy Carnival and more... Swanky Tunes have also performed at Tiësto’s Club Life at Pacha Ibiza, the Swedish House Mafia One Last Tour, and Avicii’s Le7els tour. In addition, Swanky Tunes also held down a residency at XS Las Vegas. Swanky Tunes are one of the most sought after remix teams in the world. Recent successes include Zedd’s ‘Clarity’, Dada Life’s ‘Happy Violence’, and together with R3hab they transformed Sebastian Ingrosso & Alesso’s ‘Calling’. ‘Scratch’ and ’We Know’, a collaboration with DVBBS and Eitro. Other successful releases include the Kaskade collaboration ‘No One Knows Who We Are’ via Ultra Records, which was Top 10 on Beatport, ‘Sending My Love’ a joint effort with R3hab, and ‘Make Some Noise’ ft. Ben Mclnerney with Tiësto. In addition, Swanky Tunes ‘Here We Go’ was featured in the movie and soundtrack for Fast & The Furious 6. Swanky Tunes have released music on Spinnin’, Axtone, Size, Doorn, Revealed, and Musical Freedom. In 2014 Swanky Tunes successfully released ‘Fire In Your Hearts’ on Hardwell’s Revealed Recordings followed up with the next release of ‘Fix Me’ – a collaboration with Raigh on Flamingo Records / Dim Mak. “Fix Me” reached #8 at Music Week Cool Cuts Chart and got #4 at Russian National Airplay Overall 2014 Chart. Swanky Tunes started 2015 with brand new tune called “Wherever U Go” released on SHOWLAND / Dim Mak. Many more swanky tracks are coming in 2015 and it looks set to be another stellar year for Swanky Tunes. Stay Tuned!! !